T abitha Vaughn is administrator at St. Charles Surgery Center in St. Charles, Mo. The ASC opened and went live with AmkaiCharts and AmkaiOffice in mid-2012. Q: When did you first learn about AmkaiSolutions, the AmkaiCharts electronic medical records system and the AmkaiOffice administrative system? Tabitha Vaughn: In 2007, I was hired at St. Louis Eye Surgery and Laser Center as a nurse in the pre-op area. The ASC had recently implemented AmkaiCharts and AmkaiOffice. I took on the role, along with another nurse, of helping to build the system up by entering orders and establishing preferences, essentially building the system for St. Louis Eye. We were the super-users. 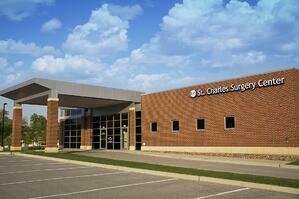 Last December, I was given the opportunity to become an administrator of my own ASC — St. Charles Surgery Center. I took that opportunity, and as part of my responsibilities I had to search for an EMR. I went out, conducted research into different products and services and I ultimately selected AmkaiSolutions. Q: Why did you select AmkaiSolutions for your ASC? TV: I was looking for something that would meet our needs across the board — from the office standpoint to the medical charts — and that we could utilize throughout the entire patient process, from check-in to billing to the EMR. A lot of the other systems only had one portion of the process and required you to still use quite a bit of paper. AmkaiSolutions, on the other hand, allowed you to perform everything electronically. I also chose the systems because AmkaiSolutions is on top of their game. The systems are very efficient and easy to use. AmkaiSolutions keeps up with all of the regulatory guidelines. Any new regulations that come out, they usually know about them before I do. It's also very nice to work with AmkaiSolutions because they listen to your needs. As the years have progressed, I can tell they listen to their customers because I would see, with each system update, different features we had requested. Over time, the programs have become more and more efficient. I love the systems, I can tell you that. Q: What experiences have you had with the AmkaiSolutions customer service and support team? TV: They've helped us a lot; they teach us the things we're not doing. They call and check on us just to make sure we don't need anything or have questions. The AmkaiSolutions support is very, very, very good. They're always there to answer our questions, no matter what day or time it is. Early on, I had a number of questions about insurance, and a representative was literally on the phone with me every day until he addressed all of my questions, and then even did follow up to make sure everything was running smoothly. They're very knowledgeable when you call and ask questions. Every person I've ever talked to is extremely helpful; they always know what you need or what you're asking of them. If they don't have the answers for you right away, they get back to you immediately. I've come to feel like they're a part of our family. When we call, we talk to each other like we really know each other well. They come to our facility and visit, see what our needs are, what our flow is and help us to use the systems to best fit our center. They also want to know if we're not using any part of AmkaiCharts or AmkaiOffice so they can teach us other ways to become more efficient. This personalized attention reduces a lot of stress when you're new to using any part of the systems. It's helped alleviate a lot of my own stress. Q: What are some of the features in AmkaiCharts you find particularly helpful? TV: I like the ability to customize your charting to fit your center. The medication reconciliation feature is excellent, and it's great to not need to hunt down operative notes and H&Ps, for example. I also like that the physicians' orders are in the system and easy to access. It's very easy and convenient to pull up discharge instructions on the computer no matter what the surgery is; you don't need to thumb through a bunch of papers. It's saved a ton of time for our nurses. Q: What does this free time allow your nurses to do? TV: They can do so much more now. They don't have to write anything down since it's now in the system. When they go to discharge a patient, for example, they just have to click 'print' instead of transferring things onto paper. With that free time, they're able to take care of two patients compared in the time of one. They can spend more quality time with the patient, and spend the time more efficiently. Some of the nurses were initially resistant to using the system, so I transitioned them slowly. Within a couple of weeks of using the system, they became so comfortable with it. They realized how much easier it was to do what they needed to do in the system rather than on paper that they ultimately stopped using paper. You're doing twice the amount of work on paper than you're doing in the electronic chart. Q: You recently started using the anesthesia module in AmkaiCharts. What has that experience been like? TV: At first there was a little bit of resistance from our anesthesiologist to use the system because she was so used to paper. But within the first week, she found it to be absolutely amazing. Everyone has a fear of starting something new, but once she got comfortable with the module, she loved it. It has helped tremendously with her time. At the end of the day, she's not spending four hours doing pre-op for the next day's cases. She can just click a button, pull up the pre-op call that the nurses have conducted and review it. She doesn't have to do the whole pre-op again and transfer all of the information on to her paper. It's easily transferred within the system. It's made her much more efficient. Q: What are some of the features of AmkaiOffice that you value? TV: With AmkaiOffice, one of the things that really stands out is how up to speed it is with all of the Medicare regulations. For example, the quality data G-codes came out this year. I was very nervous. I wanted to make sure everything was set up to go. An AmkaiSolutions representative called and said everything was set up, the system was ready to do it for us and all we had to do was click a button. This was great and a big relief. Billing and inventory have been two other things that we've been working with a lot this year. The billing is so simple. I have one biller who uses the system very efficiently. You can set all of your preferences in there, too. The inventory feature has also saved us a lot of time. We use it for case costing and are also using the physicians' preference cards, which are loaded when we schedule the patient. At the end of the day, we have one of our staff members go in and update the inventory counts. This allows my staff members to know where our inventory is and when they need to order something else because the system will alert them. This is nice because some days you get so busy that you don't realize you're out of something. It takes some work to get it going, but now that we're using it, it's a great help. AmkaiSolutions told us that once we got it going we were going to love it. And they were right.